6 Workout Mistakes That Are Costing You Precious GAINS!! EVERYONE is guilty of #5 when they start out!!! I bet some of you are thinking “What’s eccentric mean?”… This is also known as the “negative” portion of a repetition, or, for example, “on the way down” if we were to be talking about a bench press. It’s all too common to see someone, on bench press for example, pushing the bar up to get the rep, then just dropping it down with harsh pace back to the bottom of the rep, before driving it back up again… Many people fail to realise that a very large portion of muscle growth is stimulated on the eccentric part of the movement, and so you should place as much emphasis on controlling the eccentric part of the movement (on the way down in the example of bench press) as on the concentric portion (on the way up oin the example of bench press). It’s ENORMOUSLY beneficial to retract your scapula on most of the big exercises such as deadlifts, bench press, lat pulldowns, bent over rows… etc. Not only will it massively reduce the chance of injury and strain on your rotator cuff and shoulders, but it will also, combined with a solid, full range of motion, allow you to get a much better stretch and contraction of the muscle you’re training, resulting in much better muscle development! A must do if you want to maximise your gains! One of the most common mistakes that can be seen in the gym is people not using full range of motion! People are often driven to not use full range of motion so that they can move more weight for more reps, of which yes, makes it look good when you update your Facebook status with “Just hit a PR of 100kg for 6 reps on bench! !”, but makes you look like an absolute idiot in the gym and is nothing but detrimental to your muscle growth! To maximise muscle growth, full range of motion should be used, allowing for maximum stretch and contraction of the muscle, provide the longest time under tension and in turn the most gains! And that’s why were in the gym, right? Pretty basic thing, breathing, huh? But you’d be amazed at how many people actually forget to breathe when smashing out a heavy set! Under strain many people hold their breath because they feel like it will give them more drive, but if you do this, it’s guaranteed that you’ll be ready to pass out by the 5th rep! Breathing during your set is necessary to ensure a fluid delivery of oxygen into your blood stream to in turn help your muscles recover and thus let you move more weight for more reps! …and that can only mean one thing – MORE GAINS!!! Optimally building muscle isn’t achieved by juts going into the gym and throwing around some big weights (although, that’s hella fun, agreed? ), but about establishing and utilising a strong mind, muscle, connection, in order to really engage the muscle. So next time you’re in the gym, make sure you’re really focusing on each single rep, with quality contractions, avoid just going through the motions!! AHHHHHHH – CRINGE!!! This is absolutely brutal to see in the gym, especially on heavy, full body compound movements like deadlifts! 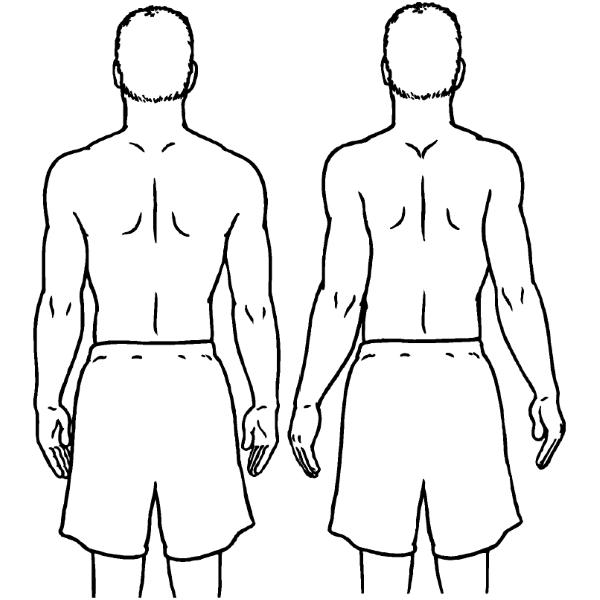 The general rule is that you should avoid rounding your back on all exercises, especially ones like deadlifts, squats and rows… The lower back is a very common place to get injured, primarily due to people neglecting this exact point and rounding their back while performing exercises. Save yourself the pain, a few injuries and complications further down the line and try and ensure you avoid rounding your back in the gym!